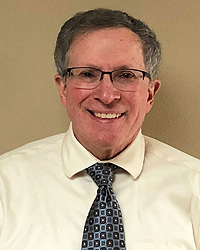 Dr. Robert L. Salnick has been practicing dentistry and offering complete dental care in Waukesha County and the surrounding areas for more than 25 years. His pursuit of continuing education keeps him updated with the latest techniques and technologies in dentistry. Patient comfort and satisfaction are Dr. Salnick’s #1 priority. He will do his best to achieve a pain-free and relaxing environment for all of his patients. In most cases, if you require emergency dental care, he can see you the same day and help relieve any discomfort you are having. Dr. Salnick is originally from Superior, Wisconsin and attended the University of Wisconsin Madison where he earned a Bachelor of Science degree. He attended Marquette University Dental School and graduated as a Doctor of Dental Surgery. Dr. Salnick opened his practice in Waukesha, Wisconsin where he is a proud member of the community and happy to serve his patients. Dr. Salnick is married and has three sons. When he isn’t practicing dentistry he enjoys participating in family actvities with his wife and sons.